Mexican comedian Roberto Gomez Bolaños has died at age 85. Arguably the most beloved entertainer in the Spanish speaking world, “Chespirito,” as he was affectionately known, died on Friday, November 28, in his home in Cancun, Mexico. Gómez Bolaños’ health had deteriorated in recent years due to his age and was under medical care at his home in Cancun when he died. The exact cause of death has not been determined. The prolific comedian was born in Mexico City in 1929 and got his start in the early ’50s working at an advertising agency and later as a writer for radio, television and film. He broke out in the early ’70s with his own self-titled sketch comedy show on Televisa, through which he introduced some of his most famous characters, such as “Chapulín Colorado,” a superhero who dressed as a red grasshopper, and “El Chavo del Ocho,” an orphan living inside a barrel of a low-income neighborhood filled with colorful neighbors. Throughout his decades-long career, Gomez Bolaños regularly introduced new characters, including “The Chompiras,” el “Doctor Chapatín” and “Chaparrón Bonaparte,” among many others. By far his most popular character, “El Chavo del Ocho” spun off into its own half-hour sitcom in 1971, reaching its peak in the ’80s and running for 24 years, until its 1,300 episode in 1992. The show became extremely popular throughout Latin America — including Brazil, where it was dubbed in Portuguese. “El Chavo Del Ocho” remains in syndication in dozens of countries around the world to this day, including the United States, ensuring an audience that transcends generations. The catchphrases from the show continue to be popular among Spanish speakers of different age groups. 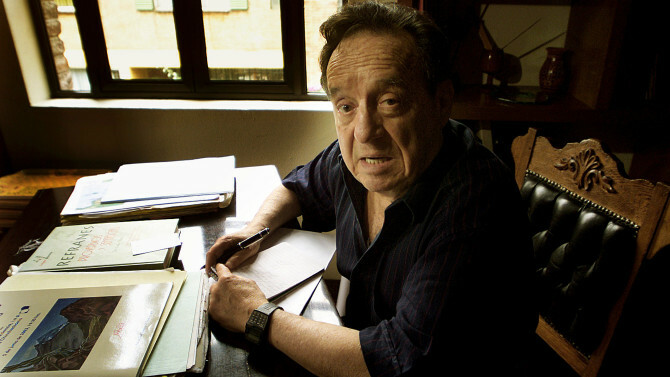 “El Chavo has always defended family values such as honesty and compassion, and people relate to him because of that,” Bolaños once said. According to a 2012 Forbes article, 20 years after its last original episode, “El Chavo del Ocho” averaged 91 million viewers daily in all of its markets combined, and earned an estimated $1.7 billion in syndication for Televisa. The success of the show spawned an animated series, video games, and merchandising deals, including Chavo-like dolls and toys. Chespirito regularly took his show on the road to different countries such as Chile, Argentina, and Mexico, where he filled stadiums. In the ’80s, he sold out Madison Square Garden in New York City. Though acting was his first love, Gómez Bolaños was also an accomplished author, composer, artist. The comedian married actress Florinda Meza, who played the beloved Doña Florinda character in his “Chavo del Ocho” series, in 2004, and leaves behind six children. This article was originally published on Variety Latino.